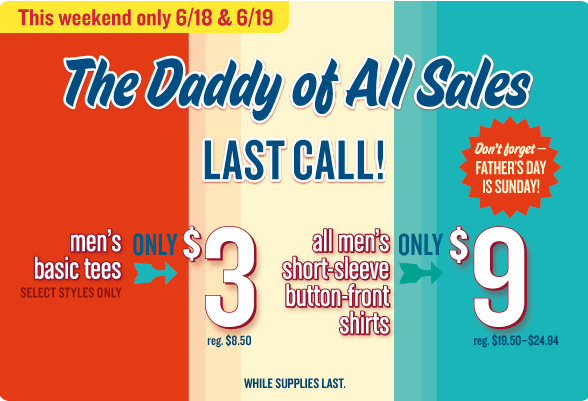 There is a great sale going on at Old Navy this weekend (6/17 & 6/19) that is great for Father’s Day! All men’s basic tees are only $3 (orig. $8.50) and all mens’ short-sleeve button-front shirts are only $9 (orig. $19.50-$24.94)! These are available while supplies last! There is also a great coupon available at Old Navy for 50% off any single kid’s or baby item! This excludes clearance.